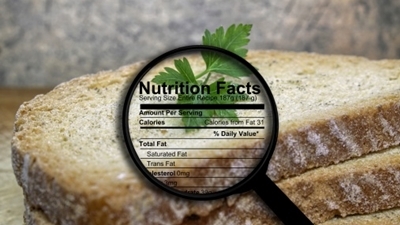 Not all fats are created equal; however, the low-fat diet craze is still receiving a great deal of attention simply because all fat is being “painted with the same brush.” The problem also stems from the fact that fat contains almost nine calories per gram of weight relative to carbohydrates and protein which both contain four calories per gram. Hence, fat intake has also been severely cautioned in the past because of the associated increase in caloric intake. The thinking here is that excessive caloric consumption is the reason why people are gaining weight in record numbers on a worldwide basis. Well…that is only part of the story. According to some new research, it’s the type of fat and the amounts of it that you eat which determine the potential effects upon your health. The results of a new three-year study indicated that the intake of saturated fat from meat and dairy products increased the accumulation of body fat around the waist, inside the abdomen cavity, and inside organs like the liver. Previous evidence has indicated that the consumption of saturated fat can result in higher insulin levels, insulin resistance, and unstable blood sugar. This condition of heightened insulin resistance is a common denominator in the development of fatty liver disease, obesity, and metabolic syndrome. However, the same study also yielded some very interesting results regarding the type of fat consumed in the diet. It was found that the intake of unsaturated fats from fish, nuts, seeds, and olive oil reduced the total amount of stored body fat in people and can actually help them develop more lean muscle tissue. This current study from Sweden indicates that, despite the equal caloric content of various types of fat, it’s the type of fat that you choose to eat which determines your risk for any potential health issues. This research substantiates previous published reports which have indicated that replacing saturated fat with plant-based fats and oily fish can reduce the risk of developing obesity and metabolic syndrome. In fact, omega-3 and omega-9 fatty acids are associated with a reduced risk of developing high blood pressure, heart disease, stroke, diabetes, peripheral artery disease and premature death. Foods containing higher amounts of saturated fat increase the production of a fatty acid called arachidonic acid. Arachidonic acid is a pro-inflammatory chemical that increases the inflammatory response, decreases insulin sensitivity, and encourages exaggerated insulin secretion. This process drives fat accumulation inside the abdomen and liver which greatly aggravates this whole process. This can eventually lead to the development of the pre-diabetic state known as metabolic syndrome. This syndrome is associated with a much larger risk of type 2 diabetes, heart disease, and stroke. This new research not only demonstrates that the fat you eat in your diet is important, it also indicates how the TYPE of fat consumed can greatly enhance health outcomes despite the calories. “Can Eating More Fat Help Flatten Your Stomach?” Yahoo! web site; http://ca.shine.yahoo.com/blogs/healthy-living/could-eating-more-fat-help-flatten-stomach-155900668.html, last accessed March 3, 2014. Rosqvist, F., et al., “Overfeeding Polyunsaturated and Saturated Fat Causes Distinct Effects on Liver and Visceral Fat Accumulation in Humans,” Diabetes. February 18, 2014.